Those are really cool. I've been seeing these around a lot lately. These are so pretty! I'd love to make some to add some fun to my house. These are so easy and fun. 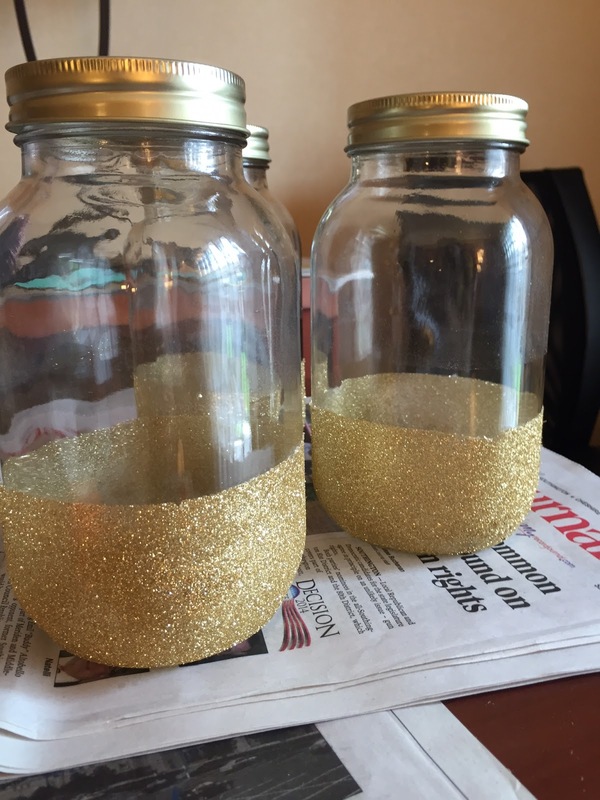 I think they would add some sparkle to any kind of decor in the home and enough glitter and you can hide stuff in. How cool are these? I wish I had thought about making something like this for my daughter's wedding. 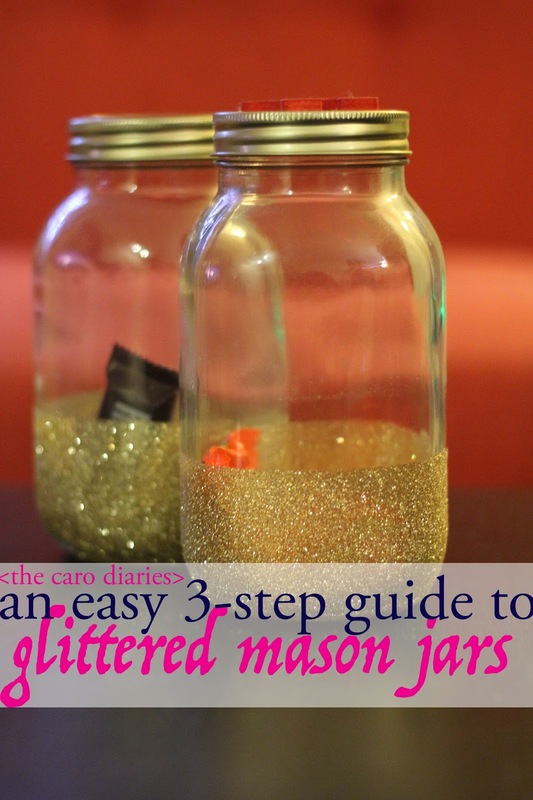 Glittery jars are a welcome sight anywhere. 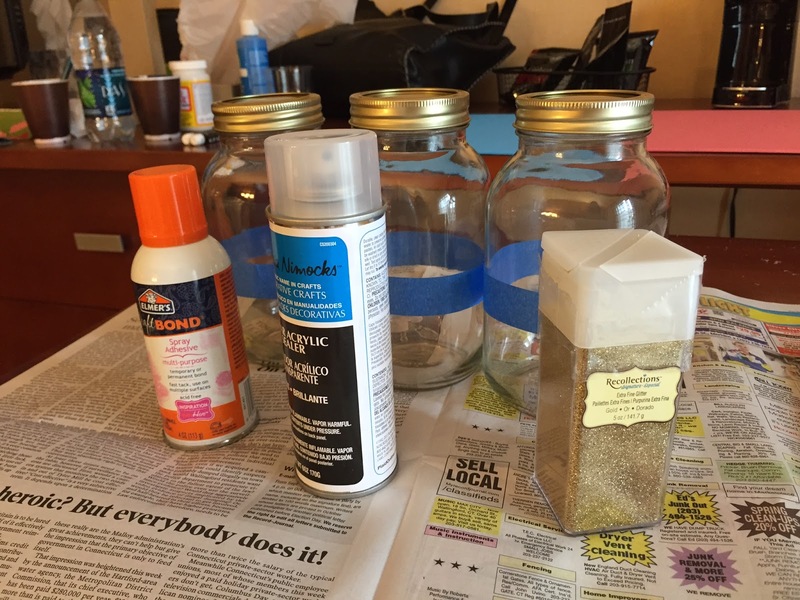 I'm going to try this craft using the Elmer's craft bond spray glue. Thank you for the great gift and décor suggestion! I love glitter. It may be messy but it is my favorite craft supply. Needless to say I will be making this. I love these! They are different and nothing I have ever seen. These are super cute! They'd look really adorable in my girls room on their shelves! What a great idea! These turned out really great. I will have to make a few of these up for my house. Those are perfect accents! 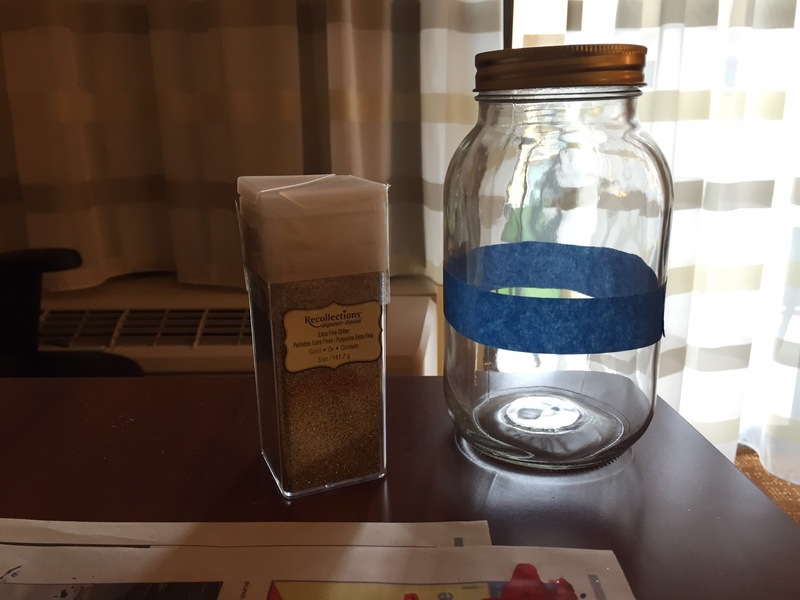 I can't believe the size glitter jar you needed! Really great idea I love anything with glitter on. What a fun way to use the glitter. I think it's an awesome idea. I have 100s of mason jars on hand all the time as we do a lot of canning. Then we empty those cans. Rinse. Repeat. Every year. So I love to do crafts with them too. I grew up using them and now I see them everywhere. I love that people are so much more accepting of them these days. These are adorable!! I could use them for so many things - I think they'd look awesome on a desk filled with pens, pencils, and markers. This is so cute! It is a great gift idea. These are very cute. Definitely a fun and easy craft. So cute! I love DIY projects that are this easy. You had me at glitter! I'm definitely putting these on my MUST MAKE list. That looks great! You did a fine job. Those are so pretty, what a cute craft, would look beautiful with tea lights inside. I love anything mason jars!